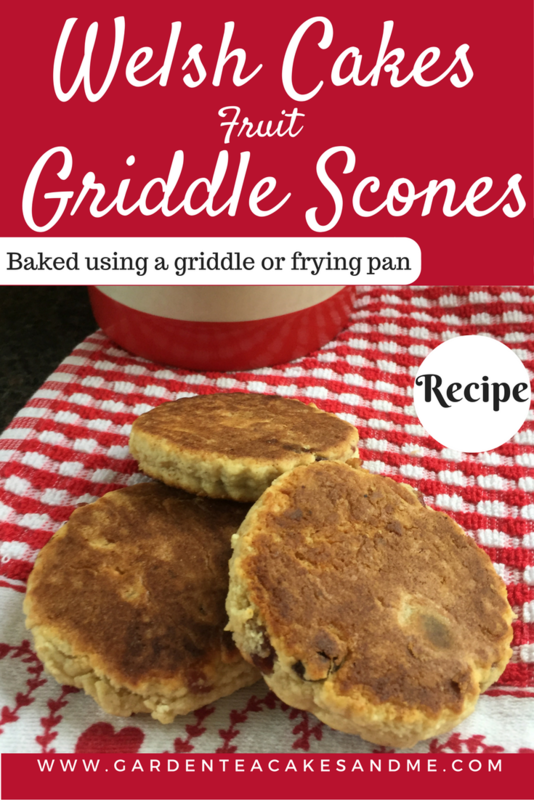 Here is a first bake for me, a Welsh Cakes recipe also known as Griddle Pan Scones. Which are not only popular in Wales but also in Welsh Border counties such as my home county of Shropshire. Add the butter and lard and rub into the flour until it resembles fine breadcrumbs. Roll out onto a lightly floured surface, to about an 1/4 inch thick. Cut into 3 inch rounds using a pastry cutter. Lightly grease a hot griddle or frying pan and cook, place the Welsh Cakes on the griddle and turn the heat down to low, turn the cakes over once until golden brown. Serve with or without butter. They tasted wonderful hot, straight off the griddle. I'm submitting this recipe as part of July's AlphaBakes Challenge on The More Than Occasional Baker and Caroline Makes blog. This months letter is 'W' which in may case equals Welsh Cakes. Oh wow Welsh cakes. i haven't made them for a couple of years. It's funny such a simple recipe has so many variations. Yes I understand you can add a little nutmeg or cinnamon too them too. I agree warm is the way to go with Welsh Cake - mmmmmm! I have not baked Welsh cakes before and your bakes look delicious! Thanks Zoe and thank you for following my blog all the way from Australia! I was hoping someone would make some Welsh cakes for Alphabakes - thanks! These look great. Thanks Caroline, I need to find the time now to look at all the lovely entries you have had for July's Alphabakes. Another great month! Rachel thanks for dropping by my blog, do let me know if you make them they really are very quick and easy and taste fabulous.